343 Industries hosted an AMA on Reddit for the upcoming Halo: Master Chief Collection PC ports yesterday and clarified a bunch of info on the titles. For one, Windows 10 will not be required to run the games, which might be a huge boon for some users. 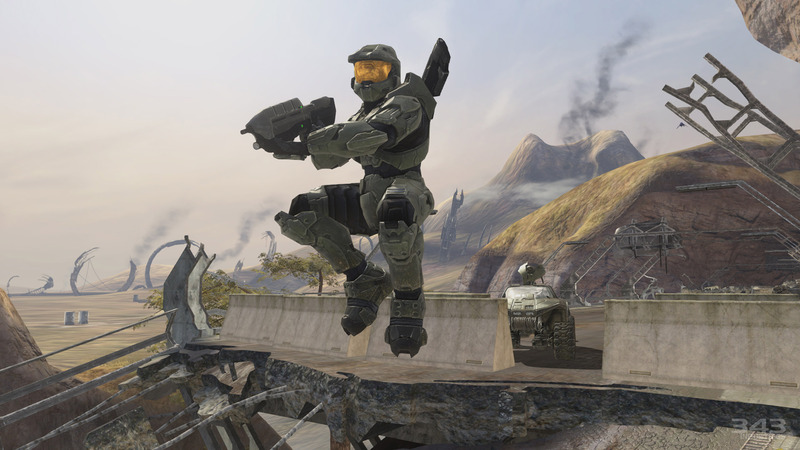 As well as that, 343 is looking into the possibility of including mod support for the games, which is what has kept Halo: Custom Edition going all these years. Rock, Paper, Shotgun has compiled a list of all the good and bad news, so I'll just summarize some of their points. In the good column, we have the Windows 7 support and the ability for Windows Store and Steam players to verse each other. Uncapped framerates will be available, though there may be a certain upper limit for particular game modes. Variable FOV sliders will be an option as well as support for different aspect ratios (including 21:9 ultrawide). New anti-cheat measures will be in effect, which should make for a smooth online experience. In the bad column, Xbox versus PC support is not currently on the cards (which was discussed yesterday). Split-screen is apparently not coming either, which is a big bummer. While the majority of Halo games are coming to PC, Halo 5 is still absent and will not be included in these new ports. No dedicated servers are coming, but 343 is looking at incorporating those later down the line. Finally, ODST's "Firefight" mode won't be available at launch but may come later. Somehow, the subject of pricing never came up. 343 did state that a complete bundle will be available once every port is ready, but there is no word on whether or not the games will cost significantly less to make up for their staggered releases. For that matter, there isn't a time frame for release, though I'd imagine at least a few games will make a 2019 window. Even with those few drawbacks, it seems like 343 is taking these ports very seriously. If done correctly, these could be the definitive versions of the Halo titles that fans have been begging for. While I'm not exactly big on the series, I'm chomping at the bit for Reach on PC. If 343 can get that right, I'll be happy.